"Fantastic setting, great people and guests, and wonderful horses and cabins. "Great place to get away from it all. "Food was amazing. Linda and the team were brilliant with looking after different riders skill levels for the daily rides. We will be back!" 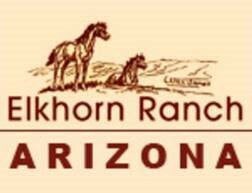 "Elkhorn Ranch was founded in 1922, and in the last 96 years they've learned quite a bit about how to create a great family experience. "The perfect family vacation where parents and children go their separate horseback ways and return at mealtime to share their experience. "A great string of horses and wranglers, along with some of the most spectacular Rocky Mountain scenery, make this place special. Lots of great memories are made here." "Seven times in nine years - what can I say that is more positive than that? "What an amazing and authentic place offering a fantastic vacation catering to riders of all ages and abilities. "We gathered as an extended family for one if the most memorable, fun, and exciting weeks ever. 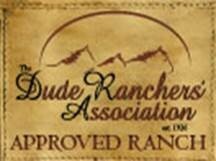 This ranch has been running for many many years and they are such experts in making sure that all ages, abilities, and interests are accommodated. "I can not say enough about how fantastic this place is and how wonderful our experience was! Linda matched everyone, not only in our family, but in the whole group with a great horse. "There were riders varying in range from the very INexperienced (and slightly afraid of riding) to those who ride every day.